﻿﻿What does Hope look like to you? 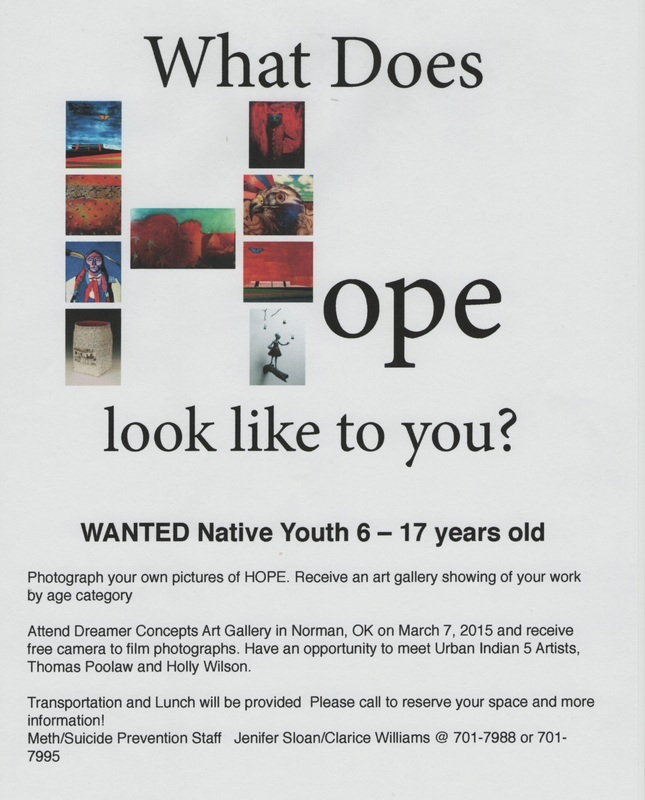 Tom Poolaw, Holly Wilson and Matt Barse will be talking about photography and film making with Native American Youth ages 6 - 17 years old, at Dreamer Concepts in Norman. Art with a Cause/Urban Indian 5 Association is pleased to work with Jenifer Sloan and the MSPI Program at Little Axe Health Center on the camera HOPE project. Call Little Axe Health Center today to reserve your child's space. Jenifer Sloan / Clarice Williams @ 701-7988 or 701-7995.